The traditionally built Alpha Studios is situated on a hill, overlooking the little fishing port of Naousa. 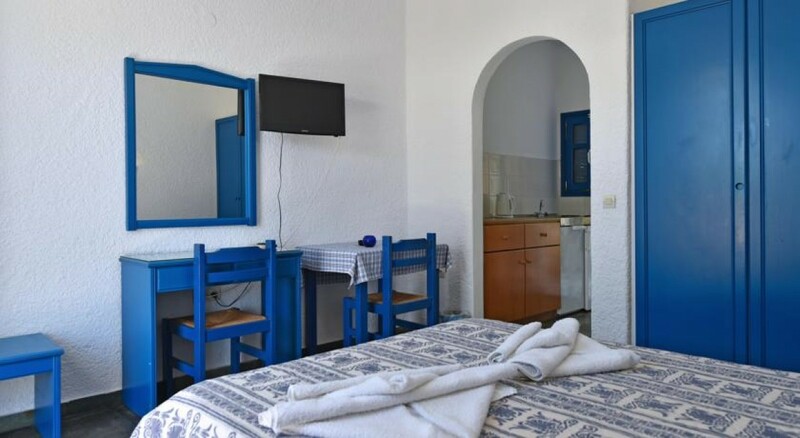 The hotel is just 100 m from the lovely sandy beaches of Piperi and Piperaki. 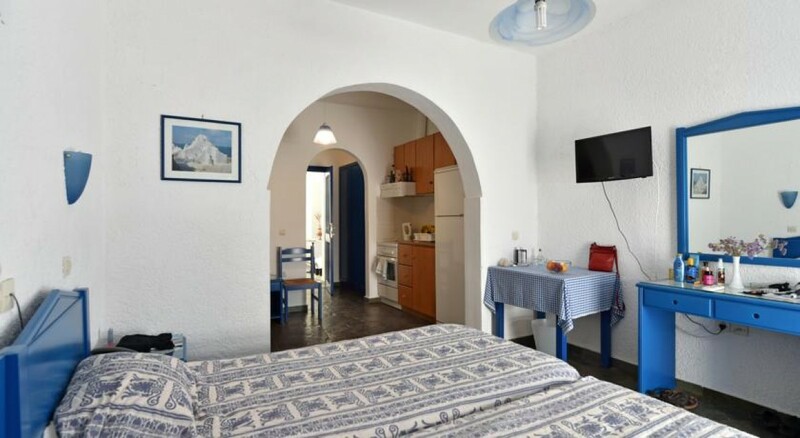 This small and friendly property has just 8 studios and apartments, all of which have air conditioning, satellite TV and kitchen facilities. All of the rooms have a balcony overlooking the garden. 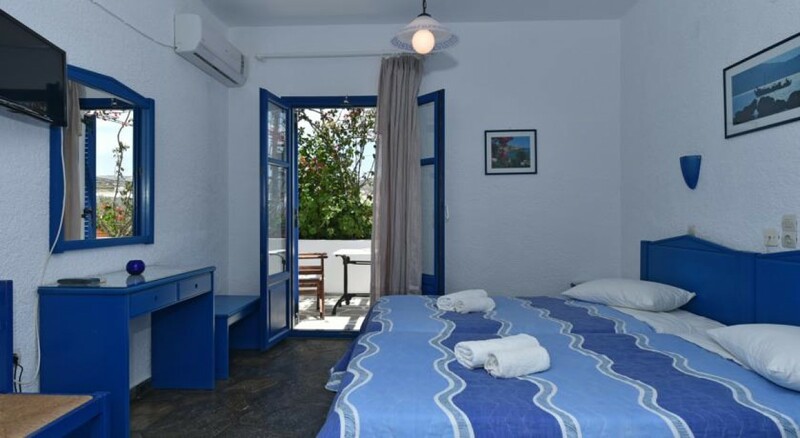 Guests can spend relaxed moments at the spacious rooftop terrace overlooking Naousa. 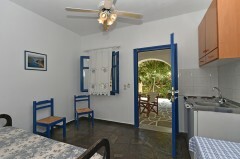 The area is perfect for breakfast, and there is a BBQ available for all guests to use. 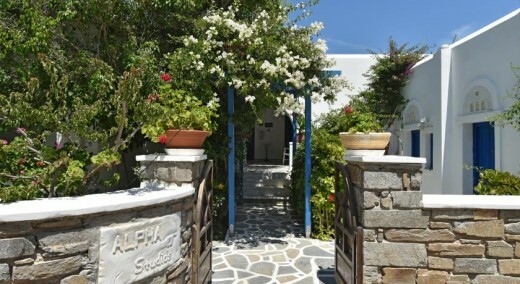 Alpha Studios are a 5-minute walk from the pretty port area with its tavernas, bars and shops. The central bus station, connecting you with the rest of the island, is also close by. This is our guests' favourite part of Náousa, according to independent reviews. 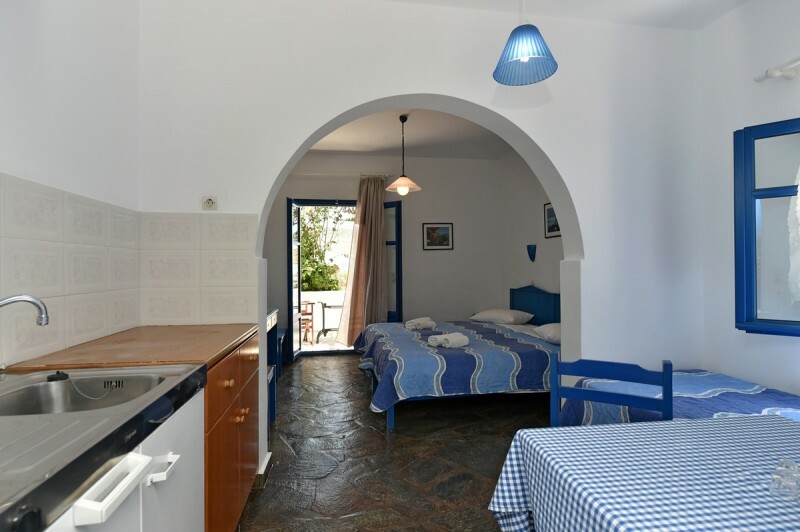 Two room apartment, with a double bed and two comfortable sofa-beds that can log 4 persons. One child under 2 years stays free of charge in a child's cot/crib, which can be provided upon request and needs to be confirmed in advance. The Reception is open fron 8:00 to 23:00. Please inform us in advance for late arrivals.